I am not sure you've noticed but I have not posted a thing that I've personally done this week (if you discount the t-shirt I made when the girls were working on theirs) so here you go more t-shirts by the girls. These were stamped using craft paints and a rubber stamp. I wasn't as happy with them as I thought I would be but have decided they look way cuter on than off. I can't remember where I got this idea so here are my instructions. Put a piece of cardboard between the two layers of your t-shirt so the paint doesn't leak through. Pour the paint onto the junk mail. 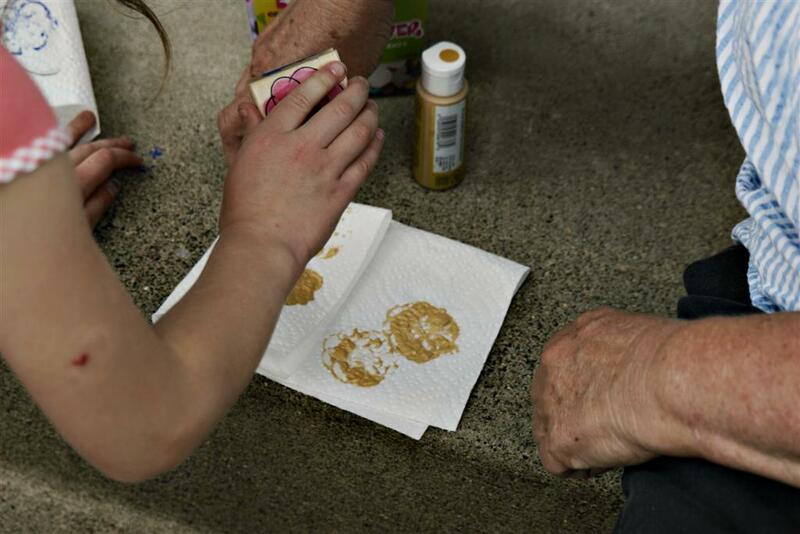 Load your stamp with paint. Unload your stamp on a piece of paper towel or more junk mail until it makes clear stamps. 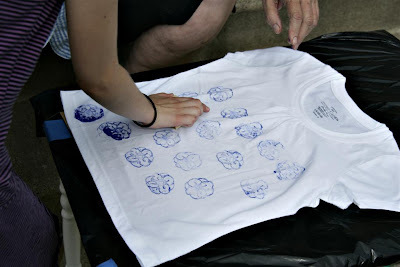 Start stamping your t-shirt. Stamp until the impression is faded. If you use more than one color and have a stamp fail like K did, just stamp over it in another color!! I am not posting about my favorites this week simply because I have an outrageous headache and have spent most of the morning sleeping in the armchair. So here we go straight to the winner. Ann from Make the Best of Things scored these fabulous handmade letters from her daughter. She has big plans for decorating them. I would too!! 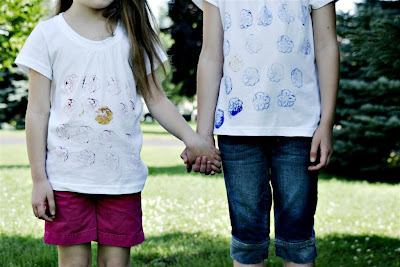 those stamped shirts are a great, kid friendly, easy to execute idea. well done. wish i had something to link up today, but it's been a busy morning so no links today. glad you liked my vinyl! 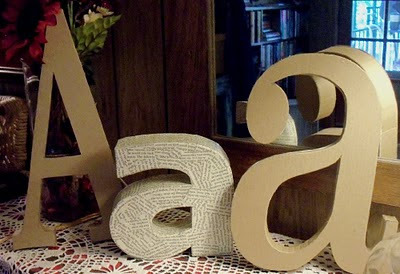 I have a real thing for letters - those are great, even before they're decorated. Hope your headache gets better... sorry!